There are few things I love more than collecting treasures from the beach. It was something I did as a kid with my mom and my grandparents and it’s something I do with my kids now. I’m always intrigued by the colours and shapes you can find. 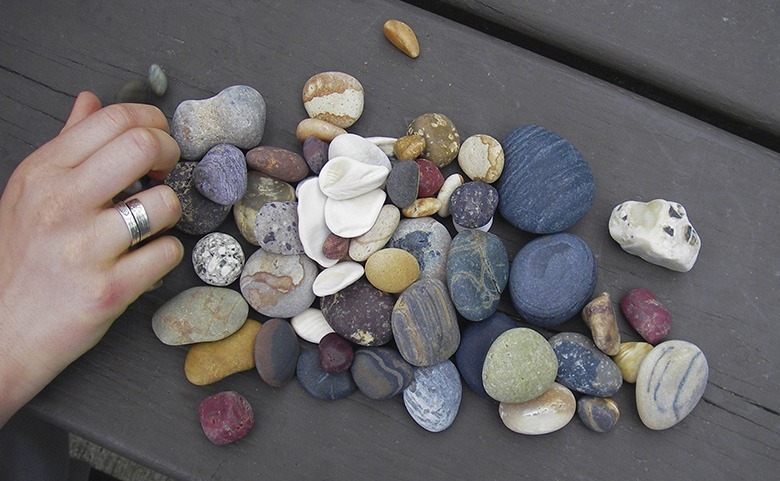 This particular haul of rocks was a bunch that I found on one of my visits to Haida Gwaii. Eric and I had spent the day hiking and exploring the beaches and this was me emptying my pockets at the end of the day! I decided that it would be perfect for a rainbow inspired roving. The colours were dyed and then layered on top of each other before being pulled off through a diz. 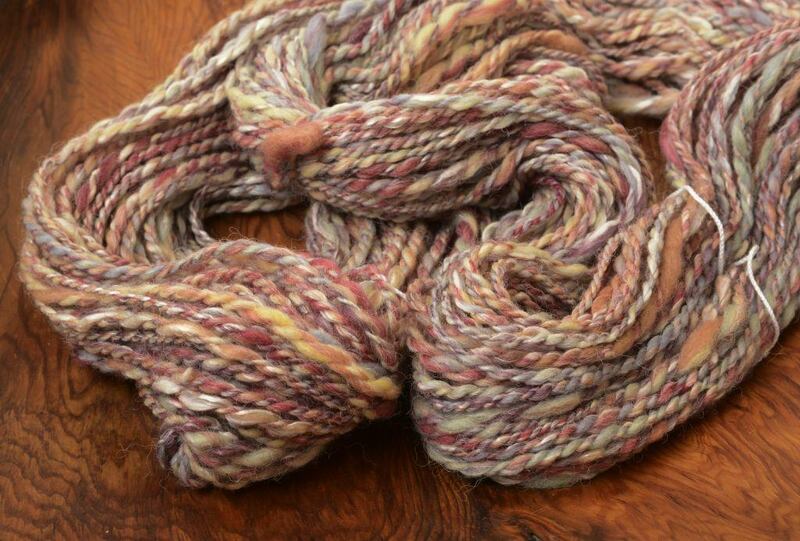 However beautiful it is…it’s incredibly hard to photograph because the roving is so long! 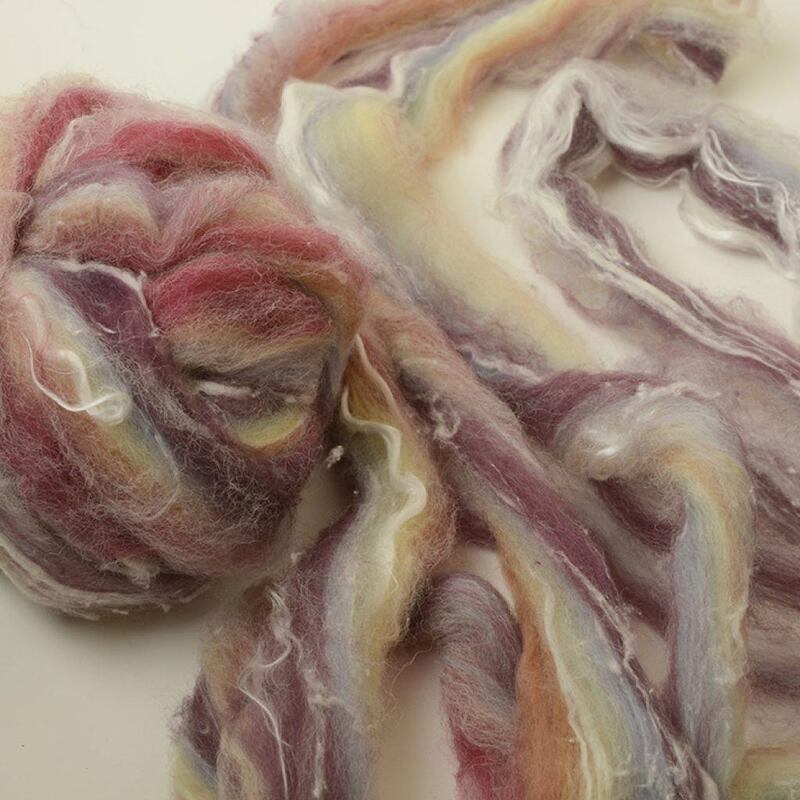 Basic club this month was 100% Merino and Luxury club was a mix of Merino, silk noil, silk and alpaca. I opted to spin luxury this month because I liked the hits of white throughout the batt. I chose to spin this month as a simple two ply. 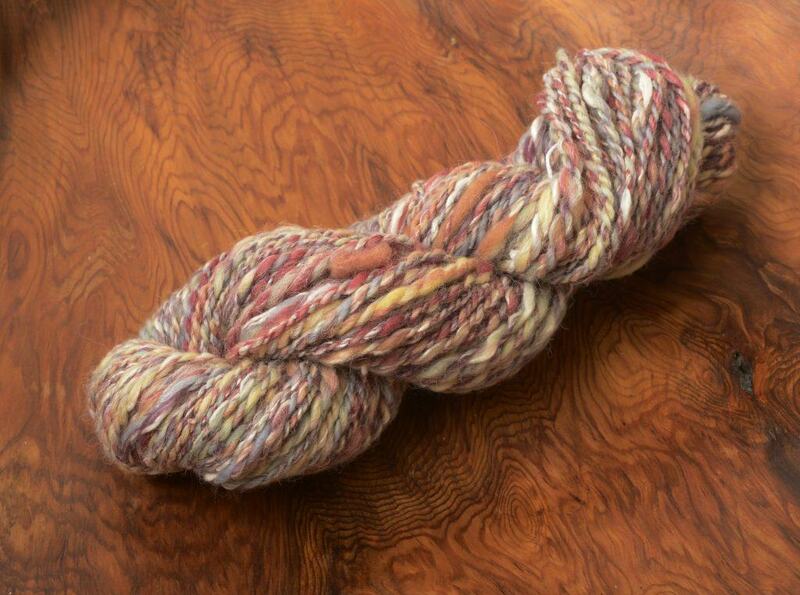 I spun with a mostly woollen backwards draw, not worrying too much about where the colours were. I was hoping that they would just mix themselves up and look like rocks in the river. I do have to admit, I’m rather pleased with how it turned out… even though I can see where my woollen spinning needs some work for evenness. I’m sorry this is posting so close to the end of December! I got it spun for the beginning of the month… and kept getting sidetracked in getting it posted! I would love to see what you do with club! Please feel free to share it over on this thread in the Wool N Spinning Ravelry Group or tag me on Instagram with the hashtags #craftyjaksboutique or #craftyjaksclub If you haven’t signed up for club and you’d like to, please follow this link to my Etsy shop. Cut off to receive January club has passed, but you can sign up for February club anytime before January 20th.